Will Marketing Automation Be Free? Today Genius.com announced a free version of their Marketing Automation system. Only about a month ago, Loopfuse also started offering a free version of their Marketing Automation system. What does this mean for companies interested in adopting Marketing Automation? So these offerings are closely matched. Both are meant as ‘freemium’ offerings. They are great for small companies and small initial projects, but they’re too limited for normal projects. Companies will have to upgrade to the paid version as their initiatives grow. And of course, that’s what Loopfuse and Genius.com hope for. My take: even though your project may be too large for these free versions, you may get a better deal for paid versions from whichever vendor. Just realize that this may not be a sustainable situation. Some vendors will sell below cost to gain market share, so higher prices or acquisitions may follow. Loopfuse has published pricing for their paid products, and they have a low-overhead sales model. Also, their founders came from Red Hat, which has a very similar strategy of offering both free and premium products. Few other vendors are in a similar position, so my prediction is that free versions are not going to be a trend. 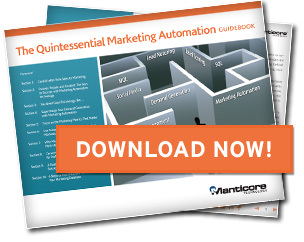 If your company is looking to adopt Marketing Automation, count on paying for your Marketing Automation system. Either you will go over the limits of the free version, or you will require support. Instead of focusing on free or cheap, choose a vendor that you trust, that best meets your requirements, and that provides excellent support. This entry was posted in marketing automation and tagged genius.com, loopfuse on August 10, 2010 by Jep Castelein. This Wednesday I’m presenting a webinar called “Search and Rescue” for your lead database, hosted by Loopfuse. It presents a 7-step process to generate revenue from existing leads, who were previously assumed “lost”. Part of this process is assessing the value of your existing leads. Unfortunately, there is no exact answer for this. However, there are 7 questions that you can ask to get a feel for the value of the leads in your database. See the video below for more details. This entry was posted in marketing automation on August 2, 2010 by Jep Castelein. Segmentation of your database and development of personas allow you to develop the right messages, content and offers. This will dramatically increase the effectiveness of your lead nurturing campaigns. This 30-minute webinar presents a step-by-step approach to segmenting your database and developing personas for your most important target groups. Do segmentation and personas really increase conversion? How many segments should I create? Do I segment my database by title, influence, industry, or something else? Which personas should I develop? How can I develop an insightful persona quickly? I have created segments & personas, what now? In 30 minutes you will get practical tips that can result in conversion improvements ranging from 20% to 400%. I hope you can make it! This entry was posted in lead management, marketing automation on July 23, 2010 by Jep Castelein. UPDATED REVIEW: My earlier review of HubSpot’s Inbound Marketing software was more than 1 year old and the software has evolved a lot: time for an update! Both groups will use HubSpot to generate more inbound leads, but they have vastly different requirements. Small businesses usually have no dedicated marketing resources, are less tech-savvy, and often don’t have a CRM system. Mid-size companies have dedicated marketing people, an IT department, a CRM system, and generally more sophisticated requirements. HubSpot can serve both audiences, but in a different way. But – just like any other SEO & Social Media tool – HubSpot will only deliver results if you put a fair amount of time into creating and promoting content: compelling content is what makes the HubSpot engine hum. Until recently, it was hard for small businesses to be effective with online marketing because the tools were fragmented: you had to hire someone to do your website, get email marketing somewhere else, hire a search engine optimization (SEO) consultant, and figure out this social media thing. HubSpot provides an attractive package that includes all of this: not just software, but also advice. Their website management system (CMS) is fairly basic, but it includes everything you need: the pages are search engine optimized from the start, it includes a blog and registration forms, and there are social media integrations. If you’re really picky about the design or have advanced technical requirements, the HubSpot CMS may be too basic for you. In that case you can consider HubSpot Medium, which allows you to add tracking keys to your own website. In addition to the website, HubSpot offers a range of SEO tools for keyword discovery, keyword selection, rank tracking and more. Social Media is also covered: you are notified of relevant online discussions on Twitter, LinkedIn and other locations, so you can join the discussion; there are ‘follow-me’ buttons in email and on your website; and you can find prospect’s social media profiles. With the improved Lead Manager, you could even use HubSpot as your CRM system. You can use basic email marketing to stay in touch with your prospects or create some drip campaigns. And finally, reporting and analytics show the business results of your activities. Overall, if your business lends itself to online marketing but technology has been a challenge for you, HubSpot will be a good fit. You’ll have a big chance of success if you reserve 20-25 hours to get started, and enough time each week to write at least 2 blog posts (again, this is true for all SEO & social media tools). The story for mid-size businesses is less clear-cut. First of all, many mid-size businesses will choose to host their own website, either because migration is too big of a task, or because they have specific requirements. HubSpot’s Medium and Large products give you the option to keep using your own site. These editions also make it possible to integrate with Salesforce.com and – through partners – with other CRM systems. The result of this integration is that you get great end-to-end analytics, for example: you’ll see how much a particular search keyword contributes to revenue. If you’re a mid-size company, search Engine Optimization and Social Media are really the key features that you’ll use HubSpot for. If you compare it with stand-alone SEO & Social Media tools, you may say it’s expensive. However, it’s a fully integrated solution with unique end-to-end reporting features: you won’t get this level of integration when using a combination of stand-alone tools. And when you compare HubSpot’s monthly cost to hiring a SEO and a Social Media agency, it’s not so expensive at all. Where small businesses will be okay with HubSpot’s email marketing, email nurturing, lead scoring and landing page functionality, most mid-size businesses will have more advanced requirements. Some of these requirements are lead nurturing based on rules with an unlimited number of steps, support for multiple lead scoring models, and progressive profiling for web forms. For those requirements I would recommend using a Marketing Automation system, as even the most affordable Marketing Automation solutions have way more functionality in this area than HubSpot. However, few if none of those solutions have the SEO and Social Media tools. HubSpot is a good option for mid-size companies that need best practices and an integrated tool to improving their SEO & Social Media strategies. Combined with a CMS and a Marketing Automation system it is a complete online marketing suite. SEO and Social Media take a lot of time to do right, and HubSpot makes this process a lot smoother. Small companies can use HubSpot as a one-stop-shop, while mid-size companies can integrate it with their existing CMS and/or Marketing Automation system. You still have to create lots of compelling content, but HubSpot takes care of the rest. Jep Castelein is the founder of LeadSloth, a firm that helps technology companies find untapped revenue in their marketing databases. He is always looking for marketers who want to get a better ROI on their investment in Marketing Automation technology. For more information on LeadSloth’s methodology, see the webinar “7 Steps to Finding Untapped Revenue in Your Marketing Database“. This entry was posted in content marketing, marketing automation, Search Engine Optimization, Social Media and tagged hubspot review, Inbound Marketing, internet marketing, search engine optimization, Website Management on July 12, 2010 by Jep Castelein. Hubspot is best known for their Inbound Marketing evangelism and a software product that helps small to medium-size companies generate leads through search engine optimization and social media. They are taking some steps towards lead management, and will be showing their email marketing and lead nurturing capabilities in this webinar. It’s not a full-blown marketing automation system (not sure if they want to go there either), but it’s interesting to see them adding these features. 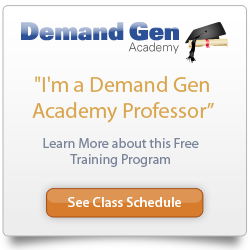 The Demand Gen Academy is a free online learning program to help you master the process of demand generation with practical, hands-on training. It covers Demand Generation, Lead Management, Return on Investment and Inbound Marketing in a series of 35-minute webinars. There is a webinar every Wednesday for the next 12 weeks. You will earn a Demand Generation Certification badge if you successfully complete the exam. I’m co-presenting the email nurturing session this Wednesday. The full title of this event is “Lead Management: Tackling the Top 5 Questions about the Lead Cultivation, Qualification and Hand-Off Process”. It’s presented by Sean Donahue, Editor, MarketingSherpa and Jennifer Horton, Best Practices Consultant, Eloqua. During the webinar, they will cover practical strategies that highlight the best way to attract new leads, how to find the right approach for the type and timing of messages, and when to complete the transition to sales. This entry was posted in Demand Generation, marketing automation and tagged b2b marketing, events, lead management on June 7, 2010 by Jep Castelein.